CIS has earned a reputation for quality community healthcare education events. The tasteful design of the program site is presentation-friendly and can handle up to 30 exhibitors. CIS has hosted and co-sponsored over 20 events the past 2 years with some 1200 participants in attendance for education and various no-cost health screenings. CIS was awarded a commendation for its efforts by LA City Councilman Greig Smith at its 1st event which featured outreach to the underserved Armenian population. 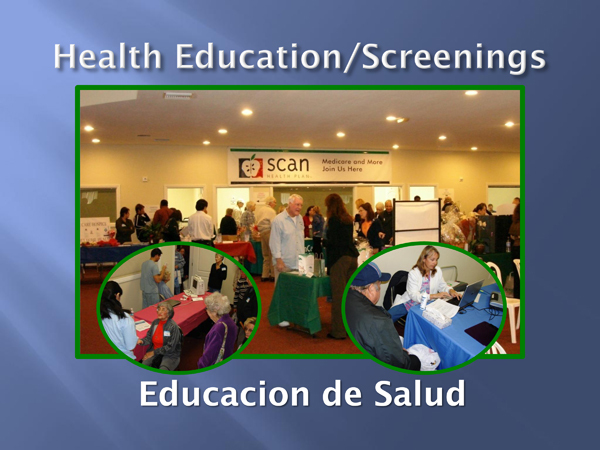 The 2nd event was a Senior Health Fair co-sponsored by several Los Angeles County-based medical groups and the SCAN Health Plan. Another holiday theme event was a St. Patrick's Day Celebration for seniors and adults with developmental disabilities. 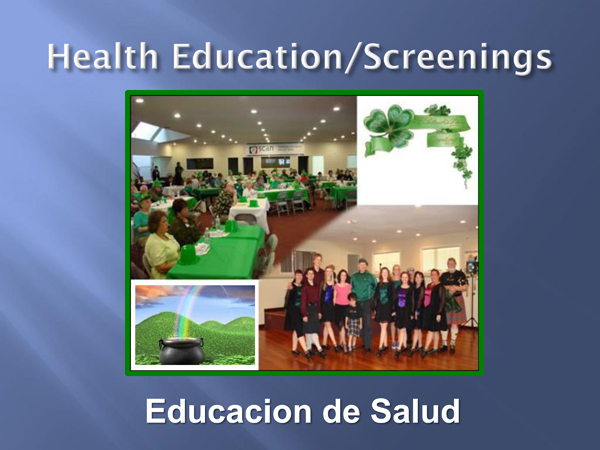 This integrated event drew a crowd of over 150 patrons who were Irish for a Day and enjoyed a healthcare presentation on good nutrition, a traditional lunch, Irish music and a performance by the Celtic and Irish Dance Troup. As part of our Preventative Health Initiative, CIS will continue hosting and co-sponsoring these popular events to support and sustain health maintenance for seniors, adults with developmental disabilities and caregivers in the San Fernando Valley. Ongoing support and event co-sponsorship will be shared by medical groups, health insurance plans, neighborhood councils, chambers of commerce and other organizations and foundations supporting health prevention. Volunteers are often needed to support events on the days they are scheduled. CIS aspires to host 8-10 events per year ongoing, some which may coincide with various, traditional cultural celebrations or themes to make learning fun.